A glimpse back in time in our very own time machine. 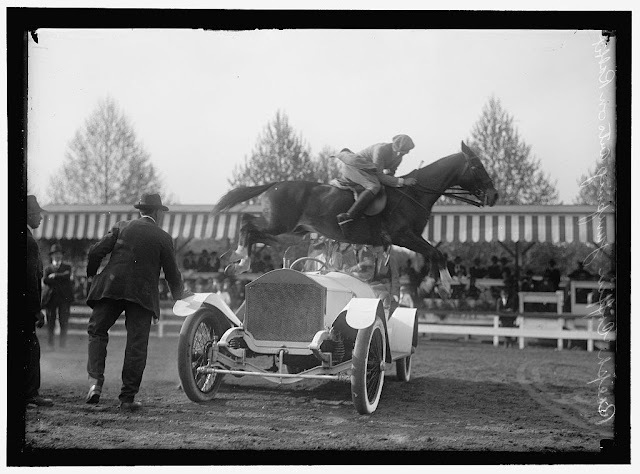 Here we have a picture of a horse jumping over a Rolls Royce car. Our old picture of the week. Feel free to right click and save a copy of this for yourself. Enjoy.